All Inclusive, produced by It's Alive Films and directed by Teemu Nikki, has been selected to compete for the Short Film Palme d'Or at the 72nd Cannes Film Festival. The Festival de Cannes is one of the oldest and most revered film festivals in the world. In 2018, over 3,900 short films were submitted to the festival in the hopes of winning the Palme d'Or. All Inclusive is the seventh Finnish short film selected to the Cannes Court Métrage competion. "Cannes is the cherry on the cake of It's Alive's festival history. We have been dreaming about this," director Teemu Nikki smiles. All Inclusive is the 15th short film directed by Nikki for It's Alive. Nikki (b. 1975) got a running start to his professional career in the international festival circuit, when the now a cult favourite A Mate (2007) was selected for both the International Competition of the biggest short film festival in the world, Clermont-Ferrand, and the official programme of the Sundance Film Festival. In addition to The Mate, one of the internationally most successful comedic shorts from It's Alive, founded by Nikki and producer-writer Jani Pösö, was Fantasy (2016), screened at nearly 80 film festivals. The most recently released short film by the prolific Nikki, Cleaning Woman (2018), was also seen in the International Competition of the Clermont-Ferrand Festival in the winter of 2019. "I hope we get to return to Cannes next year with our next feature," producer Jani Pösö muses hopefully. This summer, It's Alive Films will shoot its fourth feature film, NIMBY. The company's earlier features, all directed by Teemu Nikki, are Euthanizer (2017), Lovemilla (2015) and Simo Times Three (2012). For all his life, Kalervo has been bad at standing up for himself, until Annukka — a woman who loves him — gives Kalervo a gift that changes everything. As many of Nikki's previous works, All Inclusive may be interpreted in many ways, but ultimately it is about power, love and change. If you could change the little grievances of your life, how far would you be willing to go? It's Alive Filmsin tuottama, Teemu Nikin ohjaama lyhytelokuva All Inclusive on valittu kilpailemaan Kultainen Palmu -palkinnosta Cannesin 72. elokuvajuhlille. Festival de Cannes lukeutuu maailman arvostetuimpiin ja vanhimpiin elokuvafestivaaleihin. Vuonna 2018 Kultaista Palmua tavoitteli yli 3900 lyhytelokuvaa. All Inclusive on seitsemäs suomalainen lyhytelokuva, joka on valittu Cannesin kilpailusarjaan. "Cannes on It's Aliven festivaalihistorialle kuin kirsikka kakun päällä. Kyllä tästä on haaveiltu", ohjaaja Teemu Nikki myhäilee. All Inclusive on 15. Nikin ohjaama It's Alive -lyhytelokuva. Nikki (s. 1975) sai ammattilaisuralleen lentävän lähdön kansainvälisillä elokuvafestivaaleilla, kun nykyään jo kulttimaineessa oleva Kaveri (2007) valittiin maailman merkittävimmän lyhytelokuvafestivaalin Clermont-Ferrandin kansainväliseen kilpasarjaan sekä Sundance Film Festivalin viralliseen ohjelmistoon. Kaverin lisäksi Nikin ja tuottaja-käsikirjoittaja Jani Pösön perustaman It’s Alive Filmsin komediallisista lyhytelokuvista kansainvälisesti menestyneimpiä on ollut miltei 80 elokuvafestivaalilla esitetty Fantasia (2016). Tuotteliaan Nikin lyhytelokuvista viimeisimpiin lukeutuva Siivooja (2018) nähtiin niin ikään Clermont-Ferrandin kansainvälisessä kilpasarjassa talvella 2019. "Toivottavasti ollaan ensi vuonnakin Cannesissa meidän tulevalla pitkällä elokuvalla", haaveilee tuottaja Jani Pösö. Tulevana kesänä It's Alive Films kuvaa neljännen pitkän elokuvansa NIMBY. Yhtiön aikaisemmat ja Teemu Nikin ohjaamat pitkät elokuvat ovat Armomurhaaja (2017), Lovemilla (2015) ja 3Simoa (2012). Kalervo on ollut koko elämänsä huono pitämään puoliaan, kunnes Annukka — nainen, joka rakastaa häntä — antaa Kalervolle lahjan, joka muuttaa kaiken. Kuten monet aiemmat Nikin työt, All Inclusiven voi tulkita monella tavalla, mutta pohjimmiltaan se käsittelee valtaa, rakkautta ja muutosta. Jos voisit korjata elämäsi epäkohtia, kuinka pitkälle olisit valmis menemään? 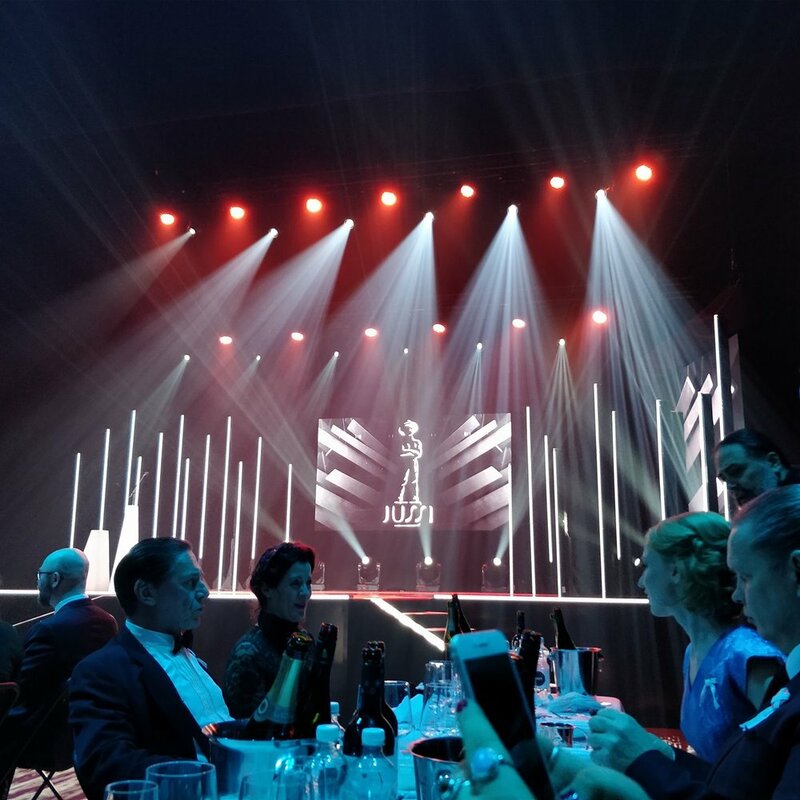 Venla is a Finnish television award and the prize was for the Mental (Sekasin) Season 2. 'Euthanizer', an award-winning Finnish thriller directed by Teemu Nikki, will be submitted as Finland’s nominee for the 2018 foreign-language Oscar Award. We made a jazz-video for Janne Huttunen! Writer-Director Teemu Nikki has been awarded Best Screenplay for his film Euthanizer at the 30th Tokyo International Film Festival. The five-person international jury selecting the winners was headed by American actor Tommy Lee Jones. Euthanizer was the first Finnish film in the festivals' main competition in 24 years. The previous Finnish film selected for competition in Tokyo was Aki Kaurismäki's Take Care of Your Scarf in 1994. Euthanizer, starring Matti Onnismaa, will be released in Finnish cinemas on November 24th. The film is a violent summer noir. 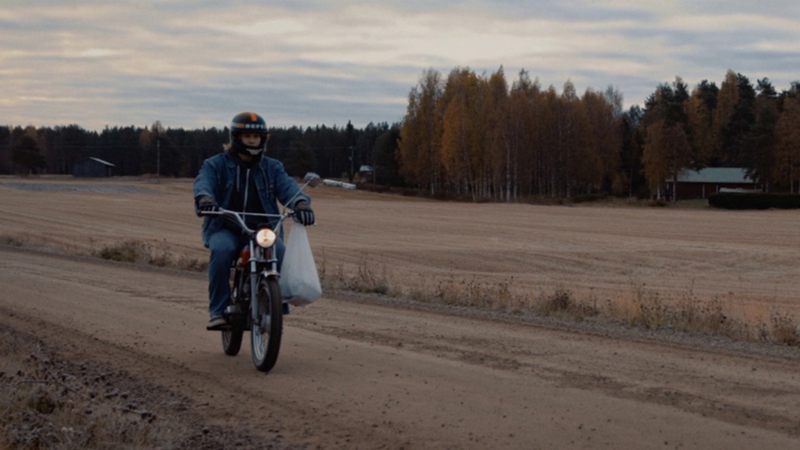 It tells the story of Veijo Haukka, a 50-year-old mechanic, whose second job is to put sick pets to sleep but who decides to save the wrong person’s dog. The film's themes revolve around animal rights, suffering and death. The real story is not about good or evil but the stupidity of absolute men. Euthanizer was produced by Nikki and Jani Pösö for It's Alive Films. The film had its world premier at the Toronto Film Festival in September and next it will be screened at the Thessaloniki International Film Festival. Teemu Nikki is a self-educated filmmaker and son of a pig-farmer from Sysmä, Finland. He has directed dozens of short films and hundreds of commercials and music videos – and some feature films and TV shows too. That makes him a genre-free and thus genre-enthusiastic director and storyteller. Euthanizer, a feature film directed by Teemu Nikki, has been selected in the Contemporary World Cinema Programme of the Toronto International Film Festival. Euthanizer is Teemu Nikki's third feature film and the first production by It's Alive Films to have its world premiere at a major A-listed film festival. 'Euthanizer is like Dirty Harry with animals. 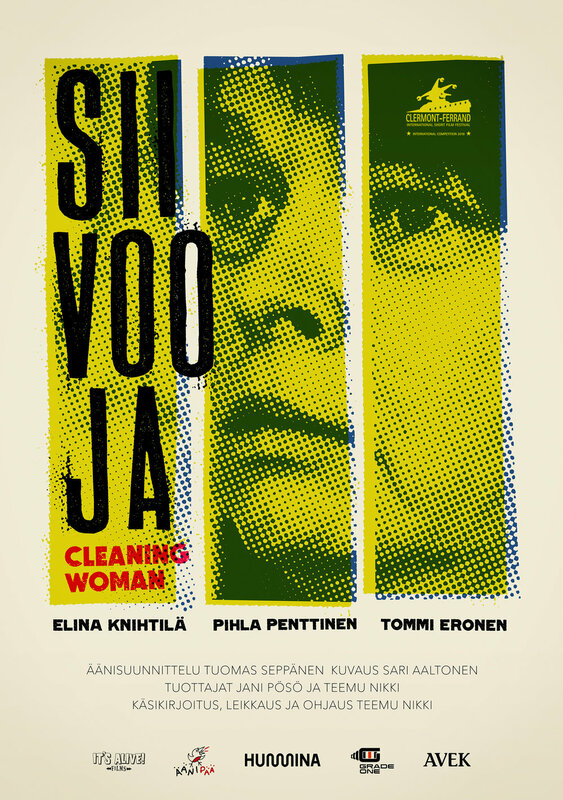 It leans heavily on the genre films of the late 70's while still being a very Finnish film. Even though Euthanizer is a ruthless and dark film, it is also an entertaining trip,' director Nikki says. 'We have defined the genre as a violent Finnish summer noir, because the film combines elements from classic genre films, stylish arthouse films and vigilante stories,' producer Jani Pösö adds. The soundtrack for Euthanizer is equally unique. K-X-P members Timo Kaukolampi and Tuomo Puranen have joined forces with Pekko Käppi and Johanna Tarkkanen, two of the few people in the world to master the 'jouhikko', an ancient Finnish bowed lyre instrument. The soundtrack will be released on vinyl later this autumn. Euthanizer will have its world premiere at the Toronto International Film Festival. The Finnish premiere will take place on 24th of November. Golden Venla Award for Mental tv-series! Our tv-series Mental won the Golden Venla award in Children's and Youth Program category! Hurraa! Our television series Mental was nominated for Prix Europa 2016 Online Project award. Online category includes cross-platform projects, web-based productions and apps. Mental is presented at the festival Mon 17 October. Our two shorts "Fantasy" and "The Log" are in the competition in Nordisk Panorama. Awesome! Lovemilla DVD released in Japan! REEL SUSPECTS RELEASE : Another japan release of one of our favourite titles. #lovemilla will hit the shelf very soon thanx to our friends at #transworld. Keep it rocking! Our latest tv-series Sekasin (eng. Mental) is released in YLE Areena and Youtube! Maailma palaa, ihmiset pelkäävät ja pelosta syntyy vihaa. Ja se viha ei auta ketään. Tämä elokuva tai tietoisku syntyi yksilön vitutuksesta, mutta se on kaikkien omaisuutta. Jos haluat, saat ladata sen itsellesi ja pistää vaikka loppuun oman logon – mutta saa sitä ihan sellaisenakin jakaa. Kun jaat tämän, et ota kantaa kenenkään puolesta vaan vihaa vastaan. Teemu Nikki on elokuvaviikon suojelija!